Fear of Dying: A Novel There are many kinds of writers: Writers of fiction, the memoir, science, technology, recipes. There are also some writers who merge two or more of the categories. I am a recipe writer merging science, technology, and the memoir. But I am relatively safe from criticism because I make sure that my recipes work and that my scientific theories are substantiated. I've been lucky so far to have avoided most negative criticism but that which has been leveled my way still hurts. This makes me aware that there is no writer more vulnerable than the writer of a memoir or even one who rides the cusp of fact and fiction because her or his essence becomes available to the often non-gentle judgmental world at large. Jean Anthelme Brillat-Savarin once said: "Tell me what you eat, and I will tell you what you are." If you are what you eat, then a writer is what she or he writes. I once heard the following quote, comparing the biography to the autobiography: If you want to know about the person, read the biography. If you want to know the person, read the autobiography. 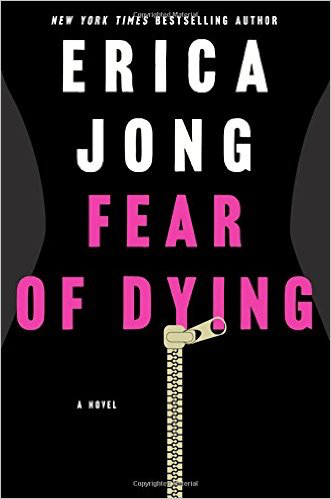 Although I know for a fact that Erica Jong's newest book Fear of Dying is part fiction, I was deeply moved by how she not only faces her fear, but is fearless in her willingness to open her heart and soul to her readers. Erica and I were both students at the same time in the High School of Music and Art in New York City, but we never met as we were not in the same year. Yet from the moment I read her first book Fear of Flying, I felt such an inexplicably strong connection that I wrote an inscription to her in my first book The Cake Bible "If I had a sister I wish it could have been you." Fear of Flying was published in 1973. It was 1988 when The Cake Bible was published, and also the year that my mother and I independently discovered Fear of Flying. My mother swam every week at the 92nd Street Y in Manhattan and one day she told me with great excitement that she had met a fellow swimmer who happened to be Molly Jong's nanny. And that was how I was able to send my book to Erica. It was almost 30 years later that, through a recommendation from a dear friend, I chose a lawyer to negotiate another book contract who happened to be Erica's husband Ken Burrows. And that is how I received an advance copy of Fear of Dying. I read the book at every opportunity in under a week. I didn't want it ever to end. It is a book of warmth and compassion, humor and poetry, eroticism and longing, and is the embodiment of two of my favorite qualities: curiosity and joie de vivre. It will reach deeply into the heart of those who have experienced great loss and will serve as a reminder, for those who inevitably will, to embrace the present. My favorite passage in the book, page 182: "When you feel fear, you have to lullaby it to sleep." This book is, above all, a celebration of life. Until now, I missed knowing about the second book in the Jong 'Fear' Trilogy: Fear of 50. But it's not too late to address it backwards--I just ordered it.